And Now, I Defend the GOP… | Dude, Where's My Freedom? Posted on November 9, 2012	by Dude Where's My Freedom? First, I’d like to clarify some of the remarks in my last post. I am not suggesting that if Ron Paul were the nominee, it is 100% certain that he would have beaten Obama. I think it’s likely he would have, but it’s obviously no guarantee. I am suggesting that absolutely everyone else in the Republican field (with the possible exception of Huntsman) would have done better than Romney. Given that my last post was attacking the GOP, I figured now I can come to its defense in a certain sense. It seems like the only time that the conservative world is willing to listen to the mainstream media is after an electoral defeat. 99% of the time they consider Chris Matthews to be a lying idiot, but by golly, we can certainly trust that his analysis of why the GOP lost the race is both correct and truthful. The mainstream media declares that the Republicans lost because they’re “too extreme.” That they’re out of touch with the youth. That demographics will do them in because there just won’t be as many white people in the future. That if only they had a “wider tent” and liked gay marriage and acted more like Democrats, they’d be okay, but since they won’t do that, they are doomed to extinction and irrelevance forever. For the most part, it seems like conservatives everywhere are accepting this line of thought. After all, we certainly can trust that the liberal media has the best interests of the Republican party at heart, and wouldn’t even think of giving them poor advice, can’t we? I’m no friend to the GOP, but I still feel a duty to point out obvious lies and deception on the part of the MSM. The “popular mandate” notion is fairly easy to disprove. Barack Obama received a whopping 50.5% of the popular vote. Gee, what a mandate that one is. In criticisms of democracy, libertarians often point out that 51% of the people can vote to enslave the other 49%. Well Obama didn’t even quite get to 51 now did he? Let’s also keep in mind that Obama received roughly 61 million votes total. The population of the U.S. is estimated to be nearly 315 million. That means about 19% of the public actually voted for Obama. Less than one in every five people. Does that look like a sweeping referendum to you? In the Senate, where we’re told that the GOP suffered a crushing defeat, the Democrats enjoyed a net gain of a whopping two seats, for a total of 53 seats compared to 45 Republicans. Another clear and decisive majority! Of course, the main reason the GOP shouldn’t sulk and behave like a bunch of emo teenagers is the House of Representatives. The founding fathers clearly intended the House to be the segment of the federal government that most directly represented the “will of the people.” That’s why they have short terms and why every seat is up for election every two years. They also preside over the smallest constituencies of any group of the federal government. Any readings of the Federalist Papers or notes to the Constitutional Convention confirm this sentiment. And the GOP still controls the House by a margin of 234 to 193. That’s a loss from 2010, but still makes up 54% of the House seats held by members of a political party. Note that 54% is greater than Obama’s 50.5%, and greater than the Senate’s 53%. Every seat was up for grabs, and the Republicans won. Many people disparage the “winner takes all” system utilized by most states in the electoral college. 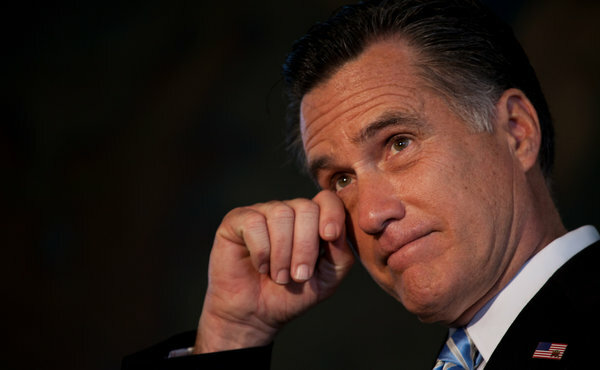 If the winner didn’t take all, the results in the House elections suggest that Mitt Romney likely would have won. Whether this is good news or not, rumors of the demise of the Republican party have been greatly exaggerated, and everyone involved would do well to ignore the leftist pundits who seek to destroy it completely by offering “cures” that are worse than the disease. Mitt Romney lost because he was too much like Obama, not because he was too “extreme.” The GOP will not win over the youth and minorities by being mostly, but not quite, like the Democrats. Is Ron Paul a centrist? Have you seen his crowds? Not exactly comprised of old white males. If the Republican party wants to survive, they will return to the principles of small government and individual liberty. Otherwise, they can continue to listen to people who absolutely want to see them destroy themselves, and keep nominating big government progressives. The choice is theirs. Note: All election stats are from Wikipedia. This entry was posted in News Commentary and tagged barack obama, Elections, GOP, house of representatives, mandate, mitt romney, presidential race, Ron Paul, senate. Bookmark the permalink.